Writing from Brooklyntweed HQ: Washington with a quick bit of news. Thanks to a whole lot of e-mails from you all, Interweave has released the Koolhaas pattern in their online store. If you're in dire need of a last minute Christmas knit, or just want to knit something for yourself on Christmas - have at it! 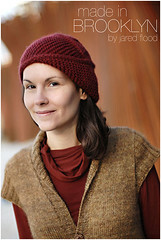 The pattern is available here and can be knit with any worsted weight yarn (wool is best). I want to say thanks again for all the support and requests for the pattern, it really means a lot! In other news: Spin-Off readers, I wrote a feature article in this month's issue profiling the Kromski family and their story. It was a great experience and also turned out to be a great issue. I saved it for the airplane - it kept me entertained while breaking from plane knitting. Sweater tomorrow - hope you're all settled in for the holidays! The Koolhaas is the most innovative pattern I've seen in awhile - thank you for creating it! I'm on my second one. I'll have to skip out for that Spin-Off! Enjoy your holidays! Jared I definitely love the Koolhaas pattern. I made one for a Christmas present and I know I'll be making more. Actually someone requested a scarf and they haven't been able to figure out the pattern flat LOL, so I said I would play with it and do one for her. LOL she is a dear friend. 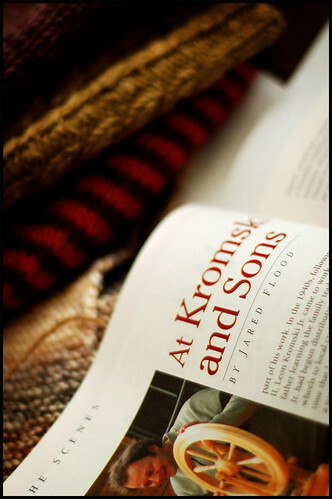 Thanks for (and congrats on) that great article on the Kromskis. As a 3-Kromski wheel owner, I really appreciated some background that I hadn't read before. Oh good, good! I must tell Mum! This is the prettiest pattern!! My daughter loves the Seattle Library, and would love me to knit it, but she is a scarf-wearer, doesn't do hats. Any hints? I know it won't look the same if I just throw in purl rows. Could you be sweet-talked into writing a scarf??? Hope you have a great Christmas. I read the Spin-Off article, thought to myself how interesting it was, then looked back to see your name by the title. Well, no wonder it was so well written! I was soooo happy to see this become available to those of us who missed the Gifts issue! Can't wait to see the next work of art. Jared - quick question - I am dying to get a larger pattern - some of us don't have teeny heads - 22" to be exact - any way to get some help????? oo fantastic! Have a great X-mas/ NewYear's break! Congrats! I love hats where the crown decreases are worked into the pattern (your Cap Karma mods were very clever, too). I am so glad. I passed on buying the holiday issue and got the winter issue. But I have never made a hat and keep stare-ing at your hat pics while knitting up my Noro Silk Garden scarf you've inspired me to knit. I must have a gigantic brain thou.......24 inches. I hope it stretches. But I really love just your basic hat also with the spiral crown decreases. Keep on inspiring me. I love it! I just signed up for SpinOff so Getting to read your article will be a special treat! Congratulations on all of your success! I can't wait to see the sweater. That article was great, didn't know it was you. Well done. You are such a talented spinner and knitter and I am glad that you are getting known. Congratulations on the article in Spin-Off! I was excited to see/read it. It's nice to see popular patterns offered for sale separately. I knit a Koolhaas for my 15 year old daughter for a Christmas gift. I'm anxious for her to see it. 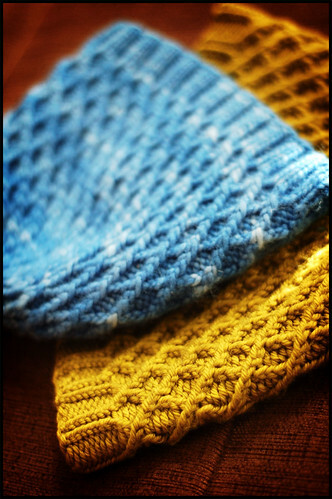 I used Lorna's Laces Shepherd Worsted which I thought worked great for the hat-- the softest machine washable yarn I've ever had the pleasure to work with. Great pattern - and it forced me to finally learn how to cable without a cable needle. I'm so glad this will be sold separately! I didn't nab the holiday issue because I only wanted to knit two patterns out of it (yours being one). It's really fabulous news. I thought that you might enjoy knowing that my 12 yo daughter just started her Koolhaus, out of BSA suri merino. 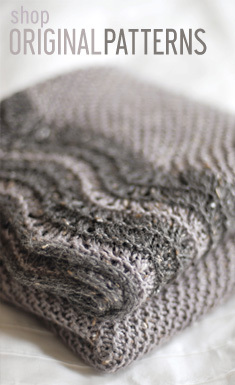 Thanks for another great pattern, and a beautiful blog. That's great news. Merry Christmas Jared! Thansk for such a fabulous pattern. I'm on mu second hat this week, and there will be more. Happy Holidays. Love the Koolhaas pattern, despite the fact that it is kicking my arse! I've ripped back once and now have discovered the 2nd need to rip back. I need to study the charge CAREFULLY! before knitting off into the sunset. I'm enjoying knitting Koolhaas (and probably would have been done if there hadn't been more pressing things to work on). It is gorgeous and just a lot of fun! What a great sweater! I'm also in Washington for the holidays, hope yours were great. Thank You for a great Hat! I'm casting on for my seventh Koolhaas today. I thought the madness would end at Christmas, but people continue to ask for one of their very own. Thanks for such a great pattern. A classic is born! How what perfect timing! I was just coming to visit your blog to see info about Koolhaas. I will go buy now (wish I could buy from you though) it's such a sweet pattern and perfect for my nephew (and husband, and brother, and friend, etc., etc.). After finding out my 16 yr old nephew was disappointed for not receiving a knitted hat from me I must CO right away! Who knew he's been hoping for one for 2 yrs?! I sure didn't! I'm so glad it's available! I was looking for it and couldn't find it. It's really a beautiful pattern! Jared, I went skating over winter break at Wollman Rink in NYC with my kids and amused myself counting the number of Koolhaas hats that went by! Clearly, New York is knitting that pattern. Can't blame them; it's beautiful. And just right for skating. Read your article in Spin-Off last week with enjoyment. Well done! Nice to see more in the published world with your name attached. This pattern is gorgeous. My non-knitting husband has decided he loves it. It is no surprise that EVERYONE in New York is knitting it and all of us knitters are requesting it. AHHHH!!! This is an evil pattern!!! It only took me 4 tries to get it right and it caused hand cramps and worse, a belated x-mas gift! But...she loved it!! Thanks for the great blog, it's def. one of my favorites.